Today was a bit cold at sea but it was amazing! It seemed that the sea belonged to the Common Dolphins. We saw 3 different groups of Common Dolphins. The first group was feeding with the Cory’s Shearwater. We stayed only a few minutes as the lookout told us that we had another group but more active. When we arrived they were jumping and making a lot of body contact. We could even hear at a certain point the whistles, it was amazing! At the end they started to forage and we could see the fish ball! At our way back we found another group of the same species, so today was really the Common Dolphin’s Day! I hope you had enjoyed, see you at Terra Azul! Vanessa is a Marine Biologist and Guide at TERRA AZUL since 2017. Joined recently, for now she is in training and enjoying being out in the ocean with Wildlife accompanying our visitors. 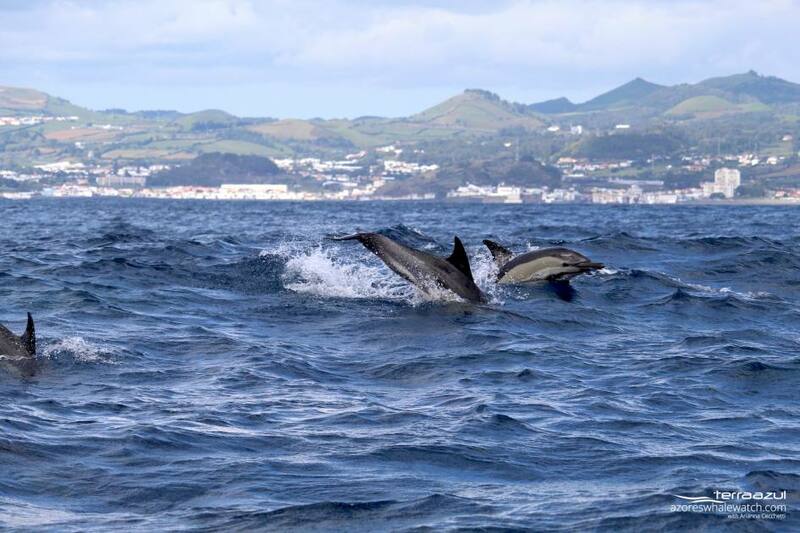 Soon she'll be ready to educate Humans, and collect data for MONICET – The Azores Islands Cetaceans Research & Conservation long-term monitoring project.